(TibetanReview.net, Dec01, 2018) – Humans had lived on the Tibetan Plateau as much as 40,000 years ago, whereas previous studies suggested that this had happened at most 15,000 years ago, reported China’s official chinadaily.com.cn Nov 30, citing a research team led by the Chinese Academy of Sciences. Their finding, published in published in the journal Science on Nov 29, was stated to show that humans, who were hunter-gatherers, had first set foot on the Tibetan Plateau around 30,000-40,000 years ago. Nationalgeographic.com Nov 29 cited National Geographic explorer Mark Aldenderfer, an archaeologist at the University of California, as saying however, that those early inhabitants were not Tibetans. Nevertheless, the report said, the find could still help inform how researchers interpret modern Tibetans’ genetic history. It cited two recent studies as concluding that most modern Tibetan ancestry traces back to a population that diverged from the Han Chinese roughly 9,000 years ago. Both the studies were stated to show signs of differentiation between Tibetans and Han Chinese that go back 40,000 to 50,000 years ago, indicating, perhaps, a first wave of people onto the Tibetan Plateau. 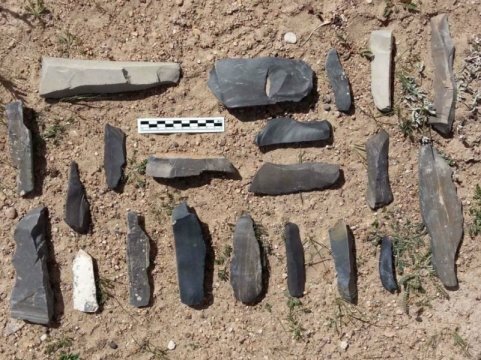 What the research team found were stated to include pieces of stone artifacts, pottery shards as well as animal bones in a village in Nyingtri, Tibet Autonomous Region. Two damaged graves were also reported to have been found in the archeology site, with some weathered human remains jutting out, hinting at the oldest signs of human activity in this highest-altitude landscape. The chinadaily.com.cn report said the team started the field study in October along Lhasa River, Niyang River and Yarlung Zangbo River, digging a total of 40 pits, with 24 of them showing records of human occupation. 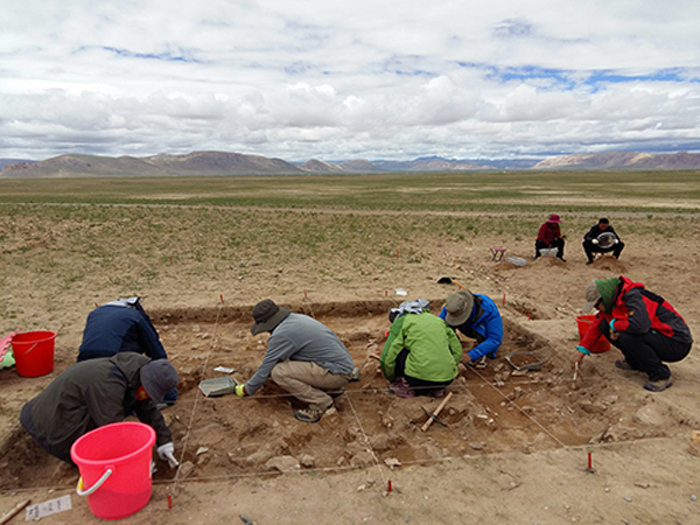 The find is said to be the earliest evidence for people living at high altitude, meaning that humans were living in the harsh conditions of the miles-high Tibetan Plateau much earlier than previously thought.